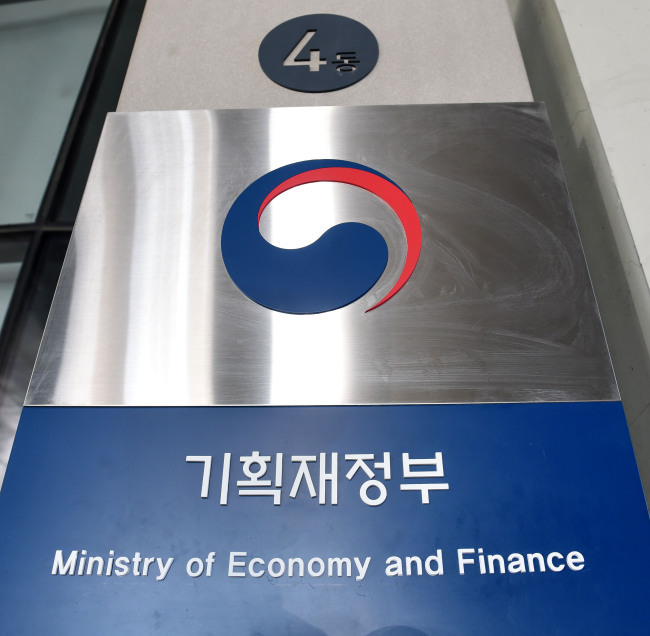 South Korea’s Finance Ministry has changed its formal English name, seeking to better convey its role as the nation’s headquarters for financial policies and economic affairs, officials said Wednesday. The former Ministry of Strategy and Finance was renamed as the Ministry of Economy and Finance, starting Wednesday, the ministry said in a press release. “The latest change in the English name was based on internal feedback, surveys conducted on key foreign organizations and foreign countries’ examples,” the ministry said. In an earlier internal survey, 71.4 percent of ministry officials responded that the English name needs to be changed, while 49.6 percent preferred the Ministry of Economy and Finance. Also, responses from diplomatic offices, investment banks and the American Chamber of Commerce in Korea showed that 81.6 percent of the respondents supported the title change. The new title was confirmed upon the consultation and deliberation of an advisory committee affiliated with the Ministry of Interior and Safety that is in charge of government departments’ English titles. The conversion marked the ministry’s fourth change of title in English. The Korean name remained unchanged this time. In 1998, the ministry was named the Ministry of Finance of Economy, which was consecutively altered to the Ministry of Planning and Budget and then to the Ministry of Strategy and Finance in 2008. “We will actively promote the ministry’s new English name to other countries, international organizations, foreign investors, global media and credit rating agencies,” the ministry’s spokesperson said. In an initial move, the ministry registered www.moef.go.kr as a new domain, to which the current domain www.mosf.go.kr will be automatically linked until the end of this year, officials added.